* Current x-rays required for evaluation, please bring them with you or have your physician forward them to our office. The Pneu-Vibe is an intermittent traction table with a built in vibrational platform. The vibration produces muscle relaxation which prevents spasm and guarding of the affected area. This allows for increased effectiveness of the traction, without increased force of traction. The traction creates a negative pressure, attracting water back into the disc. The combined effects of the Pneu-Vibe, our nutrition and laser protocols, and therapeutic exercises create a unique combination of care to speed up healing and increase strength and flexibility. In addition to these benefits, the MRIs of 7 of 8 patients in a 30 visit pilot study showed an average increase of 18%- 38% in hydration levels of the affected intervertebral disc(s) in the first visit and 50 over the 30 visits. All 8 patients reported they were PAIN FREE at the end of the study. All the patients had been long term chronic pain sufferers. All three of the patients who volunteered for the post MRI showed a Marked reduction in disc bulge and a significant increase in dehydration. (Before) The dark colored L5-S1 Disc indicates that it is dehydrated. It should be more white like the one above it. Also note the bulge sticking out into the white space that is the spinal cord. 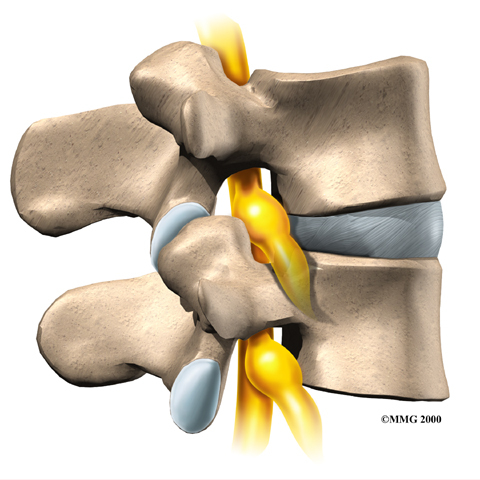 This pressure on the spinal cord can create radiation of pain and symptoms in the lower extremities, as well as possible weakness in the musculature from blocked nerve pathways. (After) Notice that the disc color is lighter, indicating rehydration of the disc. 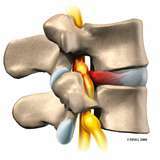 The bulge has also receded, relieving the pressure on the spinal cord, relieving pain and restoring function to the areas supplied by the nerves involved.